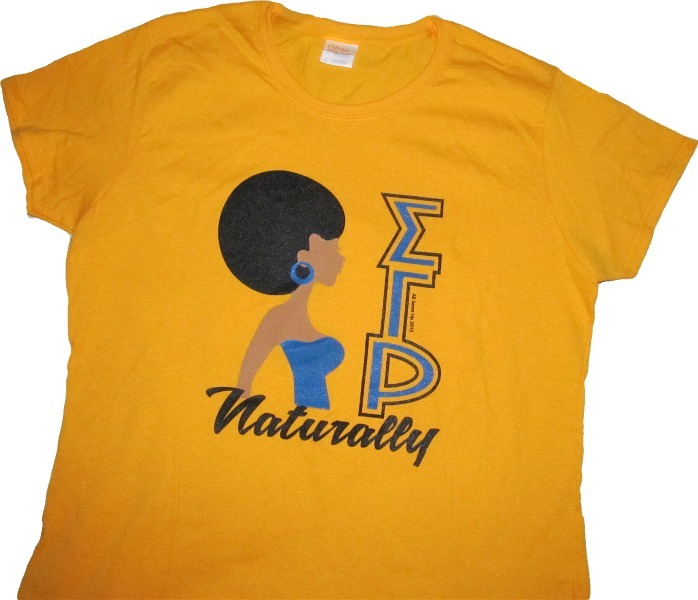 For those ladies who, of course, would be nothing other than SGRho - naturally, ... or those SGRho ladies who rep natural all day, every day! These tees are perfect. They come in ladies tees and unisex (regular) tees for larger sizes. Choose which is your best fit.